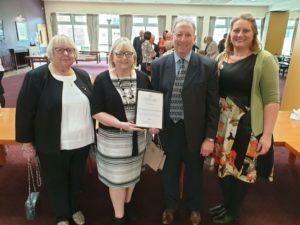 Stocksbridge Community Leisure Centre was awarded the Duke of York Community Initiative Award in recognition of its valuable contribution and work in the community. 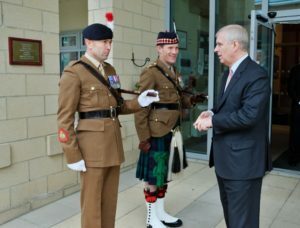 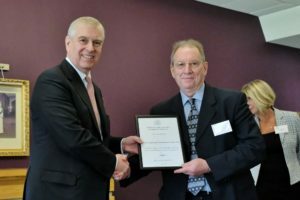 Six years of hard work and dedication by volunteers, staff and trustees were officially recognised by HRH Prince Andrew at the Infantry Training Centre, Vimy Lines Catterick Garrison on 3rd April. 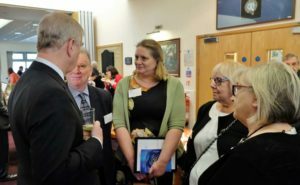 The centre were represented at the awards ceremony by Sandra White (Trustee), Sue Howson (Volunteer), Alison Brelsford (Staff) and Chief Executive, Andy Clarke.